Aspirants, here is an excellent opportunity for you to make use of it before the final date ends. The candidates who all are looking for the central government jobs to apply for a long time can utilize the chance now. 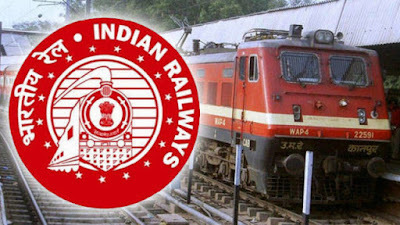 Recently, RRB has announced the jobs for the candidates that who all are eligible. So, the candidates who all are interested and eligible to apply for the respective post, then make sure to complete the registration process on or before the last date announced by an organization. For your information, the department has allotted an enormous number of vacancies for the candidates in various posts to fill. According to the sources, Railway Recruitment boards have issued the vacancies like Gateman, Assistant pointsman, Hospital Attendant, Helper posts and more. The candidates who all are looking for the respective post to register make sure to complete the process before the last date. Thus the registration process will be done with the help of online registration process by visiting the official website. If you are looking for more details to check out, the candidates are requested to visit the official web portal to complete the registration process. To apply for the respective post, it is important for the candidates to meet the eligibility criteria allotted by an organization. Once the criteria are matched, then the candidates will be requested to apply for the post. If you are looking for the post to apply, then the age limitations should be having between 18 years to 31 years. According to the government rules, the age relaxation will be allotted based on the category. 2. Now, the candidates should visit the site and find the notifications regarding the posts to click and open. 3. Once it is opened, make sure to fill all the respective details as per the instruction. 4. Before going for submission, please recheck from top to bottom and submit it along with payment. 5. Finally, the registration process is done and you can take a print out copy of filled application form for future reference.